Special Legislative Concerns: energy, education, taxes, health, welfare. Session Notes: She won the seat of her deceased husband, Eugene E. Stokowski. 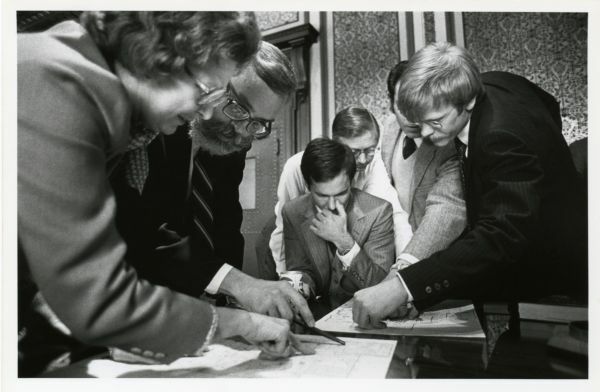 Senator Anne Stokowski, Senator Don Frank, Senator Greg Dahl, and Senator Randoph Peterson examine redistricting maps, St. Paul, Minnesota.